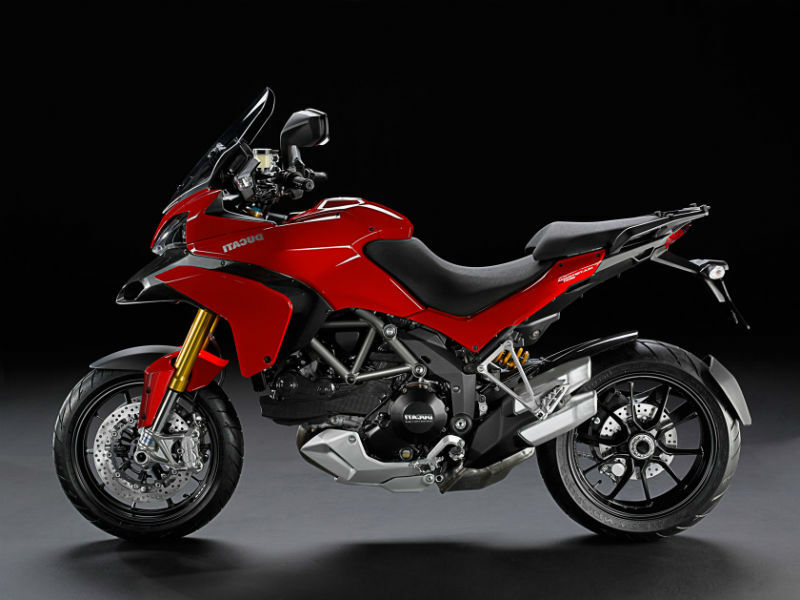 Ducati's Multistrada 1200 S Sport is classic bike that calls itself the all rounder as it meant for any road. The extremely stylish design of the bike including its well structured headlamps, seat, handle bars, mirrors and fuel tank adds a refreshing appearance which is widely appreciated. It is not only about the looks the technology used is also of high class thereby assuring greater comfort and safety for both the rider and the passenger. Thus with its standard combination of exteriors and advanced technology this bike serves as one of the popular ones in the world. Multistrada 1200 S Sport comes with 1198.4 cc, Testastretta 11° engine with L twin cylinder, desmodromic and liquid technology. Here, the 11° of valve overlap used not only assures smooth operation but also improves fuel efficiency and checks the emission rate. The maximum power output from this engine is about 110.3 kw at 9250 rpm and the peak torque achieved is 118.7 Nm at 7500 rpm. The power obtained reaches the wheel through 6 speed gearbox. 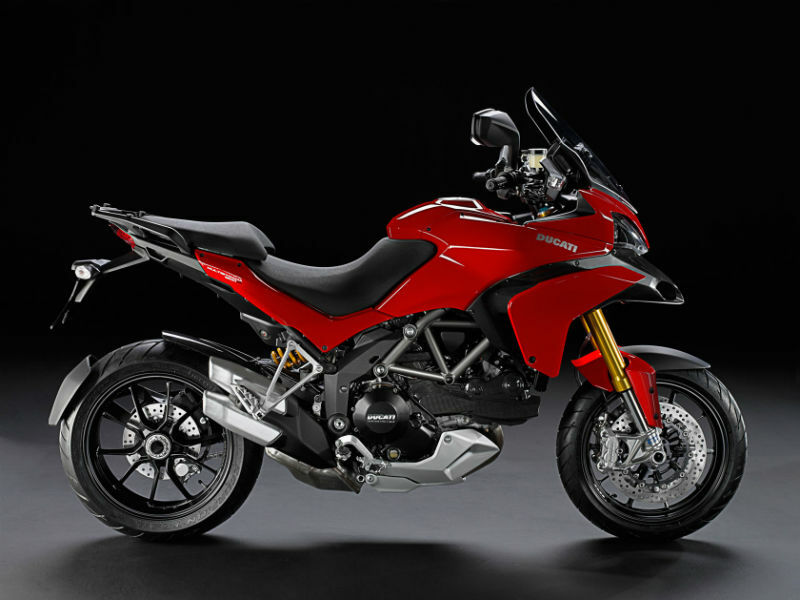 Ducati's new venture Multistrada S Sport is the coolest, trendy and performance oriented cruiser fit for any road. The classic look of the vehicle including the sleek design of the engine, comfortable seating position, attractive handle bars and striking instrument panel catches the attention of everyone. The black color chrome finishing done to the naked parts of the vehicle is other major attraction as it guarantees aggressive, tough look. It is not only about the appearance but the quality structure of the bike assures greater comfort even on bad roads. Riding this trendy and attractive bike is a wonderful experience which every rider would love to experience. Driving the lightweight body of the vehicle assures great performance in terms of dynamics and the safety. The suspension of the motorbike including the front Ohlins 48mm fully adjustable usd forks and the rear progressive linkage with fully adjustable Ohlins electronic monoshock contributes to the smooth and trouble free riding. The disc brakes used both at the front and rear is other noted, not to be missed feature that manages the control of the vehicle. This bike is expected to be a fuel efficient like any other bikes of Ducati. 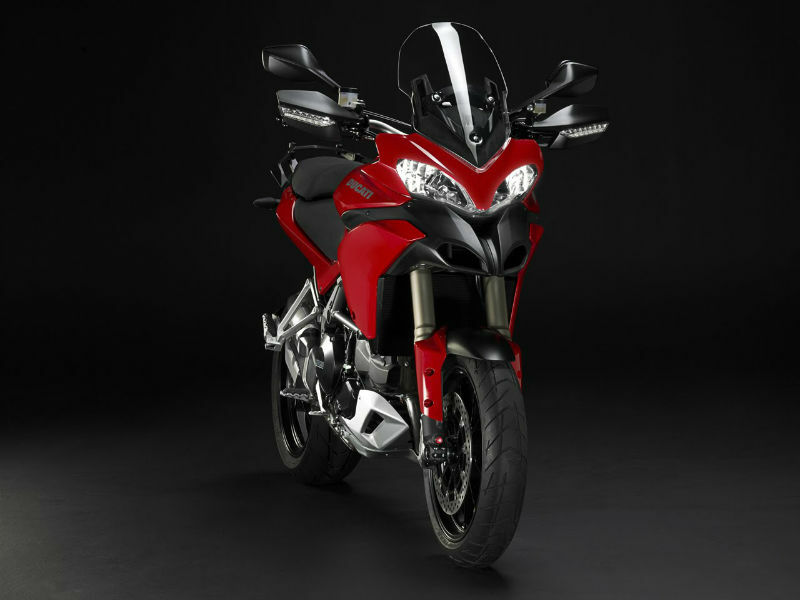 Ducati’s all new Multistrada 1200 S Sport is available in red color. The ex-showroom price of this striking vehicle is about Rs. 21,32,000.